Professor Brandon Cash is Assistant Professor of Christian Ministry and Leadership at Talbot and co-pastor of Oceanside Christian Fellowship in El Segundo, California. He has been the chaplain for the Dodgers for the past 7 years. Sean McDowell: Welcome to the podcast, Think Biblically: Conversations On Faith and Culture. I'm your host Sean McDowell, speaker, author and apologetics professor at Talbot School of Theology at Biola University. Scott Rae: I'm your co-host Scott Rae, professor of Christian ethics also at Talbot School of Theology. We welcome you to today's podcast. We're here today with Talbot and Los Angeles Dodgers' chaplain Brandon Cash. Brandon teaches preaching and pastoral ministry here at Talbot. He's also the co-pastor of Oceanside Christian Fellowship in El Segundo and for the past few years has been the chaplain for the Los Angeles Dodgers. So, Brandon, welcome, great to have you with us and we look forward to our conversation. Brandon Cash: Good to be here. Scott Rae: Tell me, how long have you served the Dodgers in this capacity as chaplain and how did, how did it work where you got this gig? Brandon Cash: I've, this is my seventh season as the chaplain for the Dodgers. So, there's some Biblical significance I think to the World Series victory this year. I got into this because our church is real close to where the Lakers' and the Kings' practice facility is in El Segundo and a guy got traded to the Los Angeles Kings who had recently come to Christ. And he was with the Colorado Avalanche and when he got traded the Avalanche chaplain, who kind of works with hockey ministries, was looking for someone in LA that could disciple this guy, and we had a mutual friend. And so that's how I started was actually working with Kings and after I think my second year doing that, the Dodgers. Our baseball chapel who oversees all the appointments of major league chaplains was looking for somebody for the Dodgers and through word of mouth they got my name and that was how things got started. Scott Rae: All right. So, so even seven seasons, what, what has surprised you the most about working with major league baseball players? Brandon Cash: I think initially the big ah ha moment was my first spring training where I got introduced to the team and you realize, on the major league side of the spring training facility there is four fields. For, at the begging of spring training, maybe 60 players and then it whittles on down to about the 40 man roster, but you go to the back fields and you have over a hundred and fifty, a hundred and sixty, a hundred and seventy guys on those back fields and there are fewer fields. Not as nice as the major league side and it just kind of dawned on me how long the process is in major league baseball to get to the big leagues. And the other thing that hit me was there are fifteen hundred new players who come into baseball every year. Which means fifteen hundred are leaving baseball every year and you see those guys who are struggling on that cut line and you see the stress they have and the, just the weight that that has on what's going to be next, if this is it, their identity as a baseball player. It's been their whole life. Scott Rae: Death, the death of a dream when that happens. Sean McDowell: Maybe you've answered this in that reference to kind of the struggle to become a major league baseball player, but what are some of the spiritual issues you've consistently seen, you consistently see baseball players wrestle with? Brandon Cash: I think identity is the big one. I don't think it's that different than what most of us do. I grew up, golf was my sport and there's a certain amount of pride, and "he plays for so and so." Even the way my parents would introduce me as "this is our son, he got a golf scholarship," and so it's just all around us and even more so for guys who have been big time since they were in elementary school. Like, they're the star all the way through and so they're always introduced as "the Los Angeles Dodger" or the "San Diego Padre" or "my son plays for," so even from family that's their identity and then they realize that's soon over. I remember one of my first spring trainings they set up tables for autographs and you had all these players who were current and the lines were around the corner for them to give autographs. And then you had all these old Dodgers who were huge during their playing days and there's three or four people in line to get their autographs, and so you just realize how quick that goes and if that's your identity, you're going to be sorely disappointed. And so I've just seen guys struggle with identity issues. Obviously the temptations of being on the road. I remember the first road trip I took with them, the hotel where they stayed was walking distance from the ball park and there's a whole section of ladies who know where the player exit is, they know what hotel they're staying at and they've got the money, the players have the money to do a lot of things that many of us aren't tempted to do because we don't have the money. So, I think just handling of finances, the temptations that are out there on the road, a life on the road, those are probably two of the more consistent issues. Sean McDowell: So, does that shape the way in particular that you plan say, lessons or teachings in your, your role as chaplain? Brandon Cash: So each, each team has a player rep. So I'll use this guy's name because he won't mind. Ben Zobrist is the player rep for the Chicago Cubs and Ben's just a solid Christian guy. His dad's a pastor. His wife's dad's a pastor. Went to a Christian college. Just a good guy. So I'll text Ben on usually Saturday and say "hey Ben when you want to do chapel tomorrow" and the visiting team will usually go, let's say it's a one o'clock game, they'll usually go around ten or ten-thirty and I go do chapel with them. And then I, the Dodgers always go an hour and 15 minutes before game time and so then I'll go do the Dodger chapel. After I finish with the Dodgers then I go down to the umpire's room and we'll meet with the umpires. Some of the crews want to do a chapel service. Some of them just want me to pray for them. Generally good guys but varying degrees of spirituality. What we get at chapel are I would say like a Sunday morning church service. You have people who are seeking, people who are curious and then you have some good solid faithful believers, but then during the week with the Dodger players I do a Bible study and that's a longer, usually about an hour, from one to two o'clock for a seven o'clock game and that's where we really do more of the discipleship is in that Bible study. That's where I develop the relationships with those guys, and yeah. Sean McDowell: So how many are on the Dodgers roster? Brandon Cash: Well there's a 40 man roster and anybody on the 40 man roster is then eligible for the 25 man roster. So at any given time there's only 25 active, usually there's about 30 guys in the clubhouse because you know four or five guys are on the disabled list and then the other ten of that 40 would be on, usually at triple A.
Sean McDowell: So how many will come to the chapel services and then with other teams too? Brandon Cash: Yeah. It's varied over the years. There's been some years where we had, and I'm including coaches, so in addition to the 25 players there's seven to nine coaches. And so we'll get, some years we've had 20, 21 average in chapel and then other years it's been a little leaner, maybe ten or 12 but the Dodgers have had a good group since I've been there, which is a blessing. I like to think of it like a poker hand. You've got to play what you're dealt and I've been dealt a pretty good hand with the Dodgers. Visiting teams vary. Anywhere from two or three guys to some teams have really a solid group of Christians. There might be ten or 12 or 15 guys. Scott Rae: Brandon, I, you know, some of the players I'm sure who are not believers, I'm sure have varying degrees of reaction to chapels and Bible study and what goes on in the clubhouse. How open to the gospel would you describe some of the players who are not believers? Do you get an opportunity to be around players who are, you know, who might be asking questions or you know might be open to the gospel? Brandon Cash: I do. What happens a lot of times, it's kind of funny, is nobody likes to shag during batting practice but that's where a lot of the best conversations happen and so you have guys that are Christian standing in the outfield talking with the non Christians, and then the Christians will come in to me and say, "All right, these are the question we got yesterday," and then we can talk about those. My goal is to build a relationship with everybody in, from the clubhouse guys to the players to the coaches to the training staff, medical staff, and that's my goal is just to have a good relationship with these guys and if I have a good relationship, then when they have questions or issues come, I think they feel comfortable talking to me about that. So, we had, I won't give a season but there was a season while I've been there where a player had never came to chapel one time but I had a good relationship with this guy, just built it, and the day before we were leaving on a road trip his wife served him divorce papers. Brandon Cash: So his world was kind of rocked. It was unexpected. He wasn't expecting that and just happened in God's providence that I was going on that road trip with him, and so he sought me out to talk and I think that was because of the relationship that we had built beforehand. So, I get some good questions from some non believers but it's, I've really had good experience. The Dodgers have typically had just good guys because guys like Kershaw who's a clubhouse leader and you know, the best pitcher on the planet, because of our relationship I think other guys feel safe, you know, that I'm a good guy and that we can have conversations. Sean McDowell: So, I work, as along with teaching at Talbot I also work with high school students, speaking and teaching, and I know the questions that high school students will frequently ask. What are the questions that you're hearing from these skeptical major league baseball players or even Christian baseball players? Are there certain common ones like the theological or cultural or apologetic kind of questions that come up? Brandon Cash: Yeah, I think you could probably guess what the question is especially after a year like this is why do bad things happen? Why does evil exist? Especially after the shooting in Los Vegas. Yeah, I think those are, typically that question is the biggest question is why do these things happen? A player who's family has a cancer incident, why does that happen? Yeah, so I think that's probably the biggest one that's just been constant over the seven years. Other questions, politics, like the whole kneeling with the NFL players. That was actually surprising to me. It became a source of division among some of the players, just on opposite sides of that. Brandon Cash: Then you can see them get kind of fired up and emotional as they were talking about it, and so in situations like that I'm just trying to calm the water, and say hey there's good arguments on both sides here and you shouldn't be arguing until you can understand and articulate the other person's argument. Once you understand their argument well enough, then maybe you guys can have a civil conversation. So, I think just what's going on in the world around us raises the questions that are typically asked. Sean McDowell: Give us an example of a conversation you've had and obviously you don't have to give names or you could change it enough to protect the person but just give us an insight into maybe a kind of conversation where you've worked through the player on an issue that helped him spiritually. Brandon Cash: Yeah, we have players, like we had one guy on the team who was just a very outspoken atheist and just unapologetic about it and was really kind of playing the martyr card, like "I'm the only atheist here" and, but he was pretty intellectually sharp guy and so, just trying to try and have a conversation with him; one of the things that's great is a lot of the guys during spring training play golf, and so some of the Christians on the team are very intentional about inviting me along to play golf to build relationships with the guys who aren't Christians. Sean McDowell: Is that because you're a good golf player or because you're the chaplain or both? Brandon Cash: I think it's more because I'm a good golfer than because I'm a chaplain but riding in a cart with a guy who has no spiritual interest at all, the conversation gets interesting and so I think those are the fun conversations is with guys who really don't have a spiritual interest, just kind of awakening that in them, like why this is important. And the guys that are Christians, it's more things going on in marriages, things going on with parenting. Brandon Cash: Those are the, I'm just thinking as pastor, being in a church you get people who I want to help, they're looking to do the right thing and they're coming to me to, "what is the right thing to do here," versus conversations with people who really don't even have spirituality on their radar, don't have God on their radar and trying to get the conversations moving in that direction. Scott Rae: I think there's probably another side to this that our listeners need to be aware of. Brandon was not only a good golfer. He was a great golfer. He played in college and I suspect you get an opportunity to build some credibility on the golf course by the way you smack some of these players around with the way you play, because I suspect there's probably not anybody on the team who can play with you on the golf course. Brandon Cash: I don't know. There's some starting pitchers who have a lot of time on their hands and they get pretty good at golf but there's a funny story. A.J. Ellis, one of my closest friends in baseball, he's no longer with the Dodgers but A.J. and I went golfing. I think it was my first year and we were out on the golf course and like on the second hold I hit this drive that was well past his, over 300 yards out there, and he stopped and he looked at me and he said, "I have never thought of you as strong before this" [crosstalk 00:13:18]. So, I think it does give me a little credibility. The other fun part of that is when I came to Talbot I really had regret about what I had done in my under grad. I really was there just to play golf. I wanted to be a pro golfer and so I really didn't pay attention in class, didn't really care about my major and I came here thinking, God what a waste my under grad was, and then the doors that God has opened in places like sport ministry I can see how His hand was even on my college years when I wasn't utilizing them as best I thought I could. Scott Rae: So when players who haven't played golf with you before come and join the foursome thinking this is the chaplain, he obviously can't play, are they surprised? Brandon Cash: Yeah. I think it gives me some credibility with them. I mean unfortunately this is a podcast, so listeners can't see my physique but it doesn't do much to instill confidence in my athletic ability. Scott Rae: I should say, we're all bodies for podcasts. Brandon, are there limits on some of the things you can do with the players? Are there just some things that are, you know, you've just got to really be careful about? Brandon Cash: Yeah, there are, as I think through major league baseball and even minor league baseball, typically we're very well received. Baseball chaplain has a really good reputation and so the door is opened to us to come in. With the Dodgers it's been a real open door. I'm just so grateful for the organization and the leadership in the organization. My first five years, I had, Don Mattingly was the manager and Don was great. Don's a believer and so he really opened up the locker room and the door for me. The bench coach was a guy named Trey Hillman who is another strong believer and so they really valued what I did and wanted me to have influence there. And so it was really like I was almost one of the coaches in the sense of my access, and then when Dave Roberts came in, Dave's a believer as well, and he's encouraged me to have the same sort of access. Now, not all of the chaplains have that sort of access but the Dodgers have been wonderful about giving the opportunity to minister there. Sean McDowell: Brandon, what's the hardest part about your job as chaplain? Brandon Cash: The hardest part is for me, it was figuring out the difference between being a pastor and a chaplain. As a pastor I feel like I have a, I'm a soul watcher as Hebrews says, and I watch after the souls of the people in my church and I feel much more responsible for confronting, for discipling, for moving people along and being more invasive in their lives. As a chaplain, there are some guys who allow me to do that, but for the majority it's more like I see myself as a fragrance for Christ in the locker room, around the clubhouse, and that was hard for me to wrestle through that the first couple of years is figuring out that difference between being a pastor and being a chaplain. And so I think I have a pastoral instinct and I want to speak more into their lives and just can't do that until you are given that opportunity by somebody. Sean McDowell: What about the managers and coaches? What's the difference in the dynamic or the relationship with say players and those in leadership and authority? Brandon Cash: Yeah, in my first couple of years I was the same age as the veterans on the team. Now, I'm the same age as the coaches. So I just realized how fast everything moves. Literally Doc and I are the same age. So, I think that's been one of the, like the parents introduce me to their parents now and they're like my age. Brandon Cash: You know, because I mean the Dodgers have guys that are 21, 22, 23 years old and so that's been fun to see that difference and just see the different life stages. Meeting Clayton and Ellen, they'd just gotten married the winter before my first year and then seeing them grow as a married couple and then seeing them now have two children, and just kind of seeing guys go through the different life stages that's been a fun part of it. Sean McDowell: I'm guessing some times you just kind of pinch yourself and remind yourself what an opportunity and a blessing to do this. Brandon Cash: It is. I remember in Philadelphia on the road with the Dodgers, Clayton Kershaw was doing a bullpen session and he and I were talking and talking with Rick Honeycutt, the pitching coach, and we were walking from the dugout out to the bullpens which are behind center field in Philly, and standing there having a conversation with Honeycutt. And we were just kind of talking and then Clayton's getting ready to warm up, and then he starts to get into--he's very routine oriented in what he throws in his bullpen--and as he was throwing that I was literally probably three or four feet away from him and just kind of had that moment like I'm watching the best person in the world at what he does, do what he does, up close, and so as a fan of the game and as a fan of just excellence I love being around guys who are really good at what they do and I get to be around the best and so that's a lot of fun. That is a privilege. Sean McDowell: That's probably how you feel right now on this podcast, right? Wow. Brandon Cash: It's right there. Yeah. You just had to go there didn't you? Sean McDowell: I had to fully tongue and cheek. Scott Rae: Brandon, you've named a handful of names of players who are public about their faith. Scott Rae: What challenges do the players face with their public persona in being public about their faith, because they've got a platform that's just radically different than the average person? Brandon Cash: Oh yeah. Especially when you travel on the East Coast or even when you're in Los Angeles, these guys are recognized because of who they are, but you go to the East Coast and the hotels, the autograph seekers, the collectors, they know what hotels they stay at, and they're just standing outside the hotel trying to get an autograph, trying to get something signed. And the guys are by and large awesome at signing autographs, especially for kids. Like, they take time at the stadium before games to do that. It's part of their routine and even sometimes on the, outside the stadium they do it. They try and do that minimally, but I remember going out with a group of players and most of them were Bible study guys, and when we'd go out to dinner and they said "we're not signing tonight," we go into the restaurant, we come out of the restaurant, they're still there. They're still trying to get them to sign and they said "no we're not signing," and we keep walking back to the hotel and we get about ten yards ahead of them and one of the guys hollers out, I thought you were a Christian. Brandon Cash: I just, and you hear that, and I'm like I want to go turn around and fight the guy, but it's that kind of stuff that the normal person doesn't have to deal with that. And so I think it's that, An fact after chapel this last Sunday, one of the players pulled me aside, and we had been talking being a new creation in Christ, 2 Corinthians five, and he said, "I want to see people differently." Quick on, what I was talking about in chapel is I think one of the big things that Paul is talking about being a new creation in Christ is we see the world differently. We see the world, we see others as Christ sees the world and how we treat others is part of that. And he saidc "I'm really struggling with when to say yes and when to say no because when I say no I feel guilty. Like, am I treating them as Christ would treat them?" and I just encourage them, they have to have boundaries. They have to be able to say no and feel okay about saying no. Sean McDowell: How do you pray for the players? Do you pray that they win? Do you pray maybe if there's arrogance that they lose? What, talk to us about that, maybe theologically and just practically your thoughts on that, because I'm sure they go, they come to you all the time and say man I've really got to do well today. I got to get a hit. Will you pray for me? What do you say? Brandon Cash: Yeah. I don't typically pray specifically for that stuff. In my prayer closet I pray for the Dodgers to win but not publicly. Sean McDowell: No, for these guys ... Yeah. Scott Rae: I'd say your prayer life is going well. Brandon Cash: Yeah. I really try and you know, Paul's prayers, which I think can be summed up in just sort of a spiritual maturity, a growing in Christ, a growing awareness of the love of God and what that means for them and to them, that they wouldn't find their identity in what they do, that they'd find their identity in Christ. But a lot of times it's, prayer is, they ask me to pray for specific things like family members, like their marriage, like their parenting. So, not too different. Especially with the guys that I'm close to, it's not too different than the people that go to the church that I pastor. Guys on the fringes, it's usually just when emergencies come up that they want me to pray for them. Sean McDowell: So do you think there'll be baseball in heaven? Sean McDowell: Good answer. Good answer. Scott Rae: Hey, you've mentioned a few minutes ago about some of the temptations that players face you know on the road because the you know, groups of women know where they stay and know where they stay and things like that. What other pressures do the married and family guys face? Just might be in baseball? Brandon Cash: Well, yeah, you just made me think of something that I hadn't said earlier, but another constant over the years is money, and it's not so much how they handle their money. Baseball's pretty good and has gotten better at having financial counselors. There's the wisdom now of having your agent be different than who your financial advisor is. So I think they're getting better in coaching these players outside of the stadium, especially with regard to finances where the issue is, is what friends and family expect from the players with regard to finances, and working through some of those issues. That's a tough one because you want to, but just trying to help identify, you want to help them with their basic needs. Well, basic needs are not typically what family and friends are asking you for. They're asking you for a lot more than that and it's okay to say no to those things. Sean McDowell: I'm curious. I took my son and his basketball team to watch the Kings play and Vince Carter, who's 40 years old, he's a veteran that's playing on a team that's probably not even going to make the playoffs or lucky to get a seven through eight spot, and I started thinking, why would a guy in that at 40 years old play for a team? Either he loves the game or he can't just hang it up. You must see players over two different decades or three decades of their lives at very different stages. Do you try to minister to them uniquely where they're at? What's kind of your thinking on the different stage in their career and life and how you minister to them? Brandon Cash: Yeah. I think taking all of that into account, both their age, their season of life. In fact a lot of times season of life I think is more critical than age because guys will get married, late, you know single guys in their late 30's that baseball's been their life, that transition into getting married, becoming a family man, those kinds of things. So, I think knowing that their season of life and talking to them about those things is important. The other thing is I see different types of personalities in baseball. So I don't know Vince Carter, I don't know why he's still playing basketball, but there are people in baseball who hang on because they just love the game. There's people who hang on because even if they're a million dollar veteran, you know the kind of the low end of the veteran status, they can't do anything else and make a million dollars, and so they're trying to maximize that earning potential during those particular years of life. And then there's other guys who want to immediately go into coaching. Like, they love the game so much that their, those last few years of playing, they're preparing to be a coach in a league. 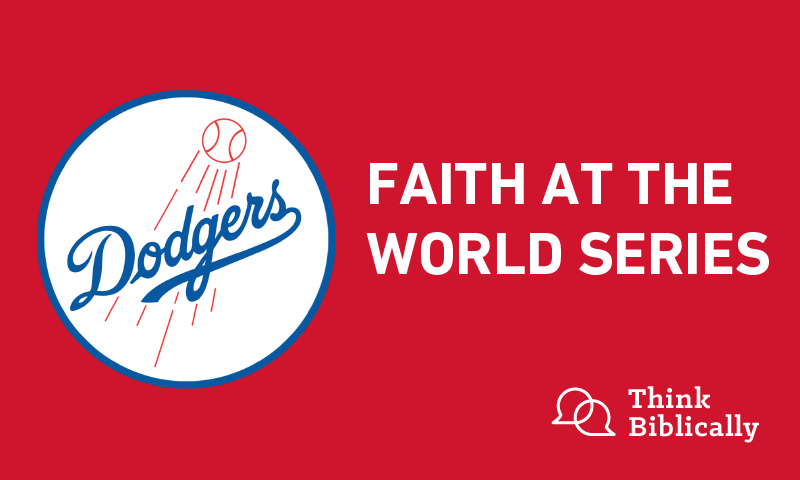 Scott Rae: Brandon, how can our listeners pray for you in this strategic role as Dodgers' chaplain? Brandon Cash: I think wisdom and grace are always two things that I can use more of, just the wisdom to know when to speak up, when to be quiet, how to speak into certain people's lives. Everyday when I pull into the parking lot before I walk downstairs, I kind of have that prayer that God would have a kind of a divine appointment that day, whether it be somebody who needs to hear from me or I need to hear from them, and so just open doors for the gospel and wisdom and grace for how to handle this. Scott Rae: Yeah, I think, especially for our listeners who might be in your classes or know you personally, I suspect the message you want to get across to them is no you can't get them tickets. You can't them access to the field. Brandon Cash: Yeah. Chaplain's pretty low on the status pole out there at Dodgers' Stadium. 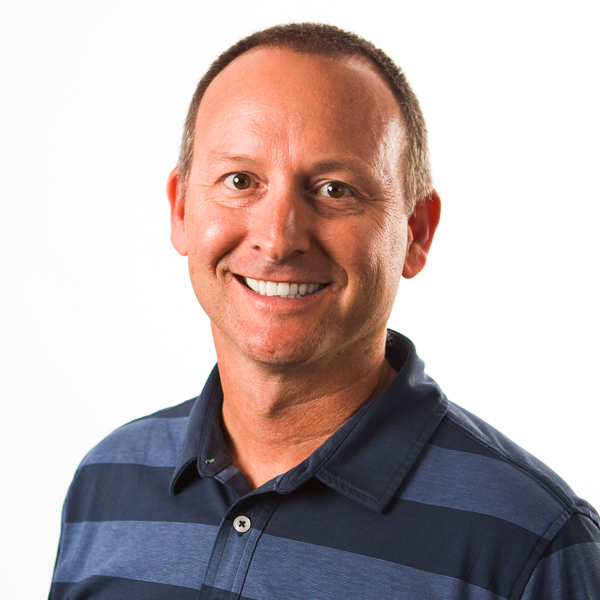 Scott Rae: Well, Brandon thank you so much for being with us, taking this time to talk about a really strategic opportunity to serve these players and to minister the gospel and you know, you have providentially been brought into this role. We'll, I trust our listeners will pray for you, continue to, that God will continue to grant you wisdom and insight into how you minister to a pretty complex arena of service. Brandon Cash: I appreciate that. Thanks for having me. Scott Rae: We'll hope that the Dodgers keep winning too. Brandon Cash: Yes, and thank you, Sean.